A Seafood Celebration! 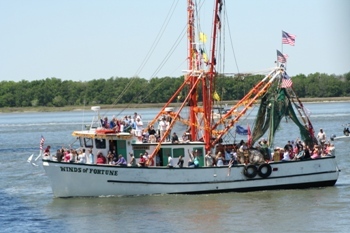 The Blessing of the Fleet & Seafood Festival presented by East Cooper Medical Center began in 1987 to support and honor local shrimpers. Overlooking beautiful Charleston Harbor at the picturesque Memorial Waterfront Park and Pier, this festival is one of the most highly anticipated events of the year for seafood lovers! Come on out and enjoy live music and food vendors.